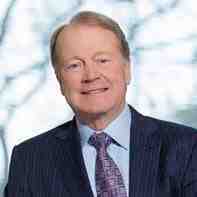 Cisco CEO John Chambers is hopping mad at recent revelations that U.S. spy agency National Security Agency intercepted Cisco routers meant for customers and installed spyware in them before repackaging them and sending them on their way. In his new book No Place to Hide, author Glenn Greenwald disclosed documents that purportedly showed NSA agents implanting spyware in Cisco routers after intercepting them while they were on their way to a customer. NSA’s Tailored Access Operations Unit, in cooperation with the FBI and CIA, plants bugs and spyware in products of targeted customers. Upset over the disclosure in Greenwald’s book, Chambers took his displeasure to the highest office in the land, the White House. We ship our products globally from locations inside as well as outside the United States, and if these allegations are true, these actions will undermine confidence in our industry and in the ability of technology companies to deliver products globally. Confidence in the open, global Internet has brought enormous economic benefits to the United States and to billions of people around the world. This confidence is eroded by revelations of governments’ surveillance, government demands that make it difficult for companies to meet the privacy expectations of citizens and laws of other countries, and allegations that governments exploit rather than report security vulnerabilities. We simply cannot operate this way; our customers trust us to be able to deliver to their doorsteps products that meet the highest standards of integrity and security. That is why we need standards of conduct, or a new set of ‘rules of the road,’ to ensure that appropriate safeguards and limits exist that serve national security objectives, while at the same time meet the needs of global commerce. We understand the real and significant threats that exist in this world, but we must also respect the industry’s relationship of trust with our customers. Several technology companies including Microsoft, Yahoo, Facebook and Google have actively collaborated with the NSA in furthering the spy agency’s surveillance and monitoring operations.